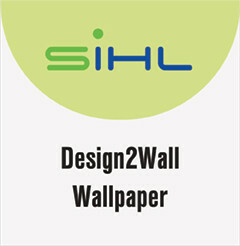 Introducing Design2wall non-woven wallpaper by Sihl. Its dimensional stability, exceptional lightfastness, and flame-retardant qualities are key aspects to a successful wallcovering design. The PVC free construction and Class A flame retardancy makes the Design2Wall product line an ideal choice for eco-friendly wall decor. 2510 - Non Woven Design2Wall 180 Matte - Certified for HP Latex Inks/ Compatible with aqueous printers. 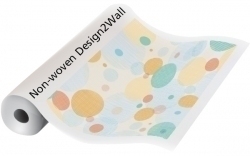 2512 - Non Woven Design2Wall 195 Matte - Ideal for Solvent/Eco-Solvent Printers; Compatible with latex and UV curable printers.